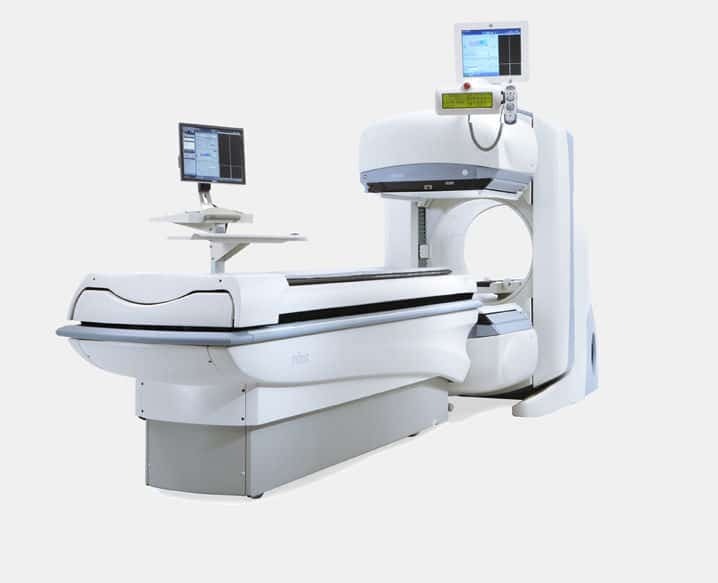 The GE Infinia is a premium, high-performance all-purpose dual detector imaging system. The free-geometry gantry design enables both 180° and 90° orientations of the detectors for high scanning efficiency, as well as, upright and horizontal detector orientations for maximum clinical versatility. An exclusive slip-ring gantry design provides a solid infrastructure for advanced acquisition modes. Other core components include a PC-based acquisition station, dual-axis imaging table, real-time automatic body contouring and an easy to learn, intuitive Windows-based user interface.